I got sucked into the Sri Lanka tourism orbit in the 1970s when my fiancée, now wife, was working for one of the grand old men of tourism, the late H.M.S. Samaranayake, as his Secretary, at the SLTPB. Chairman of the Tourist Hotels Association of Sri Lanka ( THASL) Sanath Ukwatte said yesterday that a proper promotional and destination branding campaign was the most critical for the tourism at this moment. 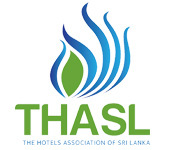 The Hotels Association of Sri Lanka (THASL) in a statement said its notes with great concern the wanton killings of elephants, where reported incidents has been on the rise since of late. Sanath Ukwatte - President of THASL speaks of Rising Star Awards 2017. &COPY; 2017 The Hotels Association of Sri Lanka, All rights reserved.